Conveniently located by the main harbor, the Hellenic Maritime Museum celebrates Greece’s impressive naval legacy. 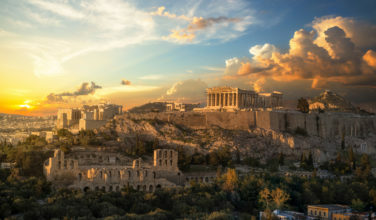 Topics such as war strategy and trade from both the Ancient and Modern Greek eras are covered here. If you are interested in Greek naval history, this is a great place to visit. Even if you’re just passing through, perhaps you could find time to visit a seaside café or restaurant? Some of them are nicer than others, so use your judgment. The best feature great food and even better views. The Vosporos Grill Restaurant, for example, is known for its seafood and is located right in the water. Some of the best restaurants, however, are located in the Mikrolimono area in Piraeus. If you happen to visit Piraeus on a Sunday, visiting the popular Piraeus Flea Market is an excellent cultural experience. Every bit as hectic as the port itself, this market features venders from all over Greece. They typically sell things like pottery and jewelry, but the market is different every week. If you feel like haggling, this can be an excellent place to buy a souvenir! The flea market is located near the metro for easy access. The Akti Themistoleous is an intimate street in the city that boasts great views of the harbor. While walking along the ancient walls, keep your eyes open for small bays, which will give you an opportunity to enjoy the sun and warm seawater. Several important archaeological findings are on display at the Archaeological Museum of Piraeus. 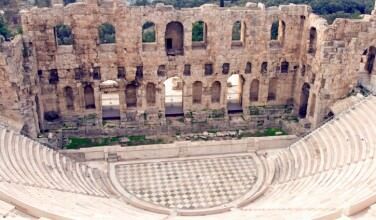 The museum itself is located on the Theater of Zea, an ancient theater that was modeled after the Athenian Theater of Apollo. Also on display here is an impressive sculpture of both Apollo and Athena. If you want to be amongst Europe’s elite, the Yacht Club of Piraeus is a must-see. 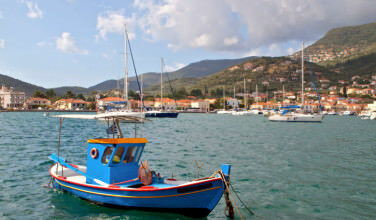 Because of its breathtaking islands and beautiful weather, Greece is a premier destination for boat. Even if you don’t have a boat, consider having lunch in the rooftop café. 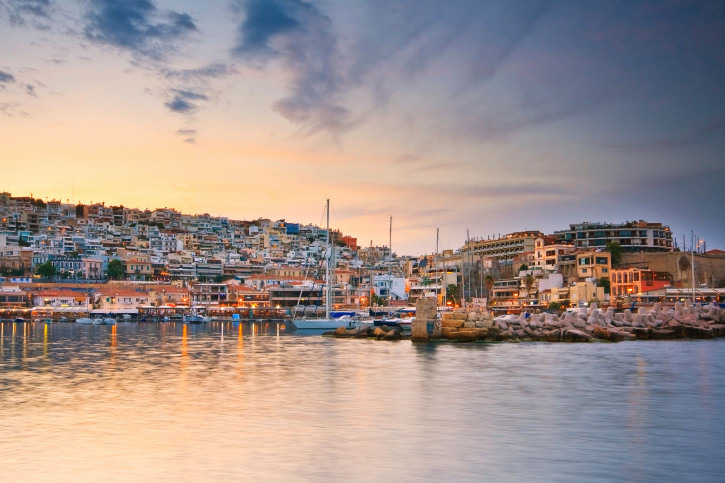 This neighborhood in Piraeus is filled with pastel colored homes and affords great views of the harbor and of the “Mikrolimeno” section of the city. If you are in the mood for a walk, this is a great place to explore. Even though it is in the heart of Piraeus, it does have a small-town feel. As you can see, Piraeus is a vibrant place. If you are planning on using Piraeus as a gateway to the Greek islands, consider giving yourself time to explore the city!